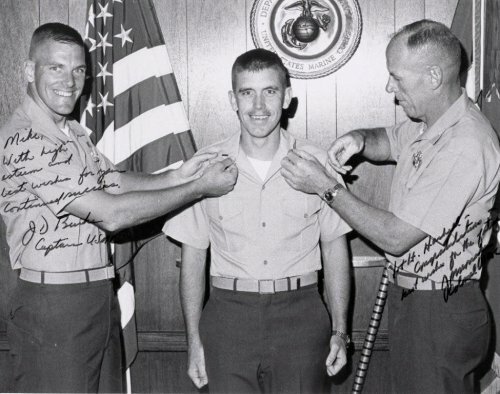 Mike Haskell, who served at the Barracks from 1978-81, first as a Second Lieutenant, then as a First Lieutenant, and finally as a Captain just before he was transferred to the FMF. 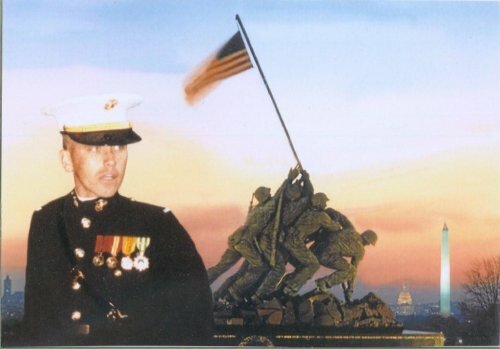 He was known as a "Marine's Marine," a recognized leader of men. 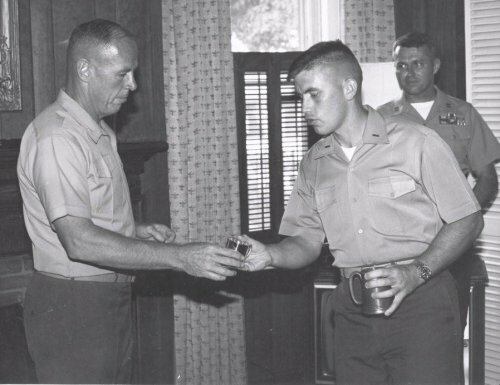 Previously, having served a highly succesful six year tour as an enlisted man, he left the Marine Corps to attend college, competed in varsity athletics, and graduated with high honors. 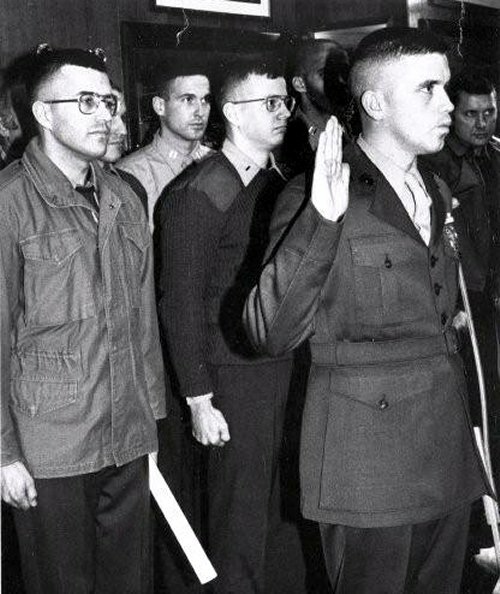 While in college he was in the USMC's Platoon Leaders Class, and received his commission. His record throughout college as an athlete and scholar, as well as his demonstrated excellence as a Marine is proven by his extraordinary biography, which can be viewed here. Those who served with him are uniform in their praise. One says, "[Mike] had a great sense of humor and was always impersonating the “Mr. Bill” character on Saturday Night Live. When the situation became intense, Mike always broke us up laughing with his “Mr. Bill.” He continued, "I was in the field in Korea when, somehow and someway, General Monahan called me and told me of Mike’s death. I was deeply saddened for Mike and his family. They were a fantastic family and I treasured their friendship." Another says: "I [remember] him as the most hard-charging junior officer at 8th & I. His enthusiasm and can-do approach to every assignment was infectious. Like everyone who knew Mike, I was greatly saddened when he perished in Beirut." Another says, "Mike and I had lockers together 80-81. There was/is no finer man or Marine. I think of him often." 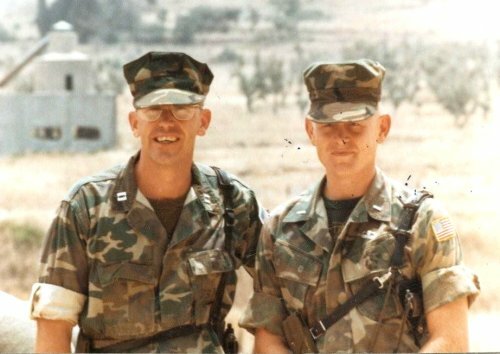 Probably the most succinct statement of Mike's excellence was by another who served with him, "Mike's death was a real loss to The Corps and to the Country." 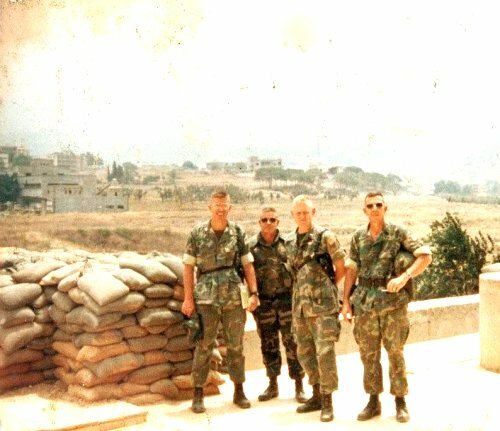 (left is unknown), John Allen, partial of Jim Williams, Mike, Captain Stutler in right background. 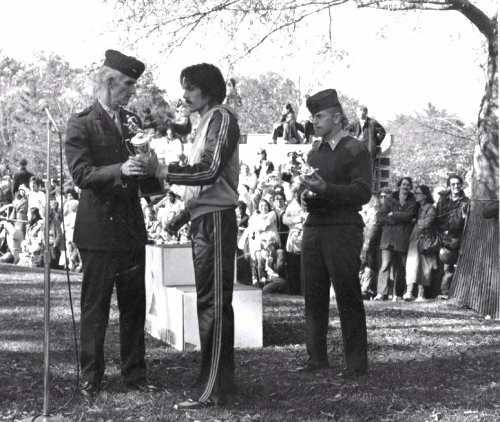 USMC Marathon (Mike is at the right), 1979. 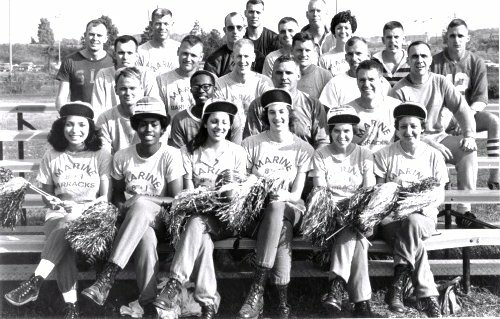 (Note the Barracks Colors in background). for the birth of Mike's daughter Melissa. and Capt Bob Dobson on Top. (Captain John Allen, just to Mike's left as you view the picture). [Editor's note: This is the final photo of Mike. Note: An additional item devoted to Mike can be found on our KIA Tribute Page.